How Many Calories in Weetabix? 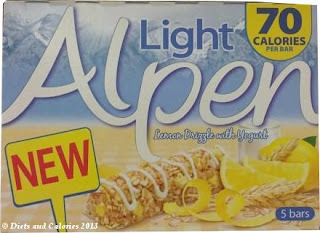 Alpen have been making tasty cereal bars for many years now and part of their range includes the 'Light' selection. The ‘Light’ range have around half the calories and fat of their regular bars so are ideal for slimmers. Varieties which have been available for some time include Alpen Light Double Chocolate, Sultana & Apple, Summer Fruits and Chocolate & Fudge bars. Now there are two new two new additions: Cherry Bakewell and Lemon Drizzle with Yogurt. Like the others, they all have 70 calories or less. 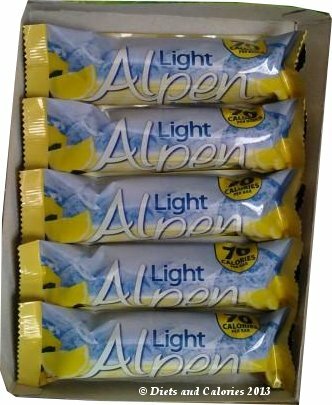 Since I’m not crazy about cherry flavoured products, I decided to see what the lemon bars were like. 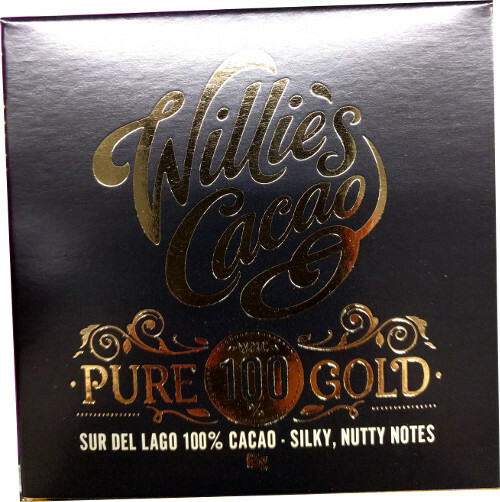 Inside the box there are 5 individually wrapped 19g bars. 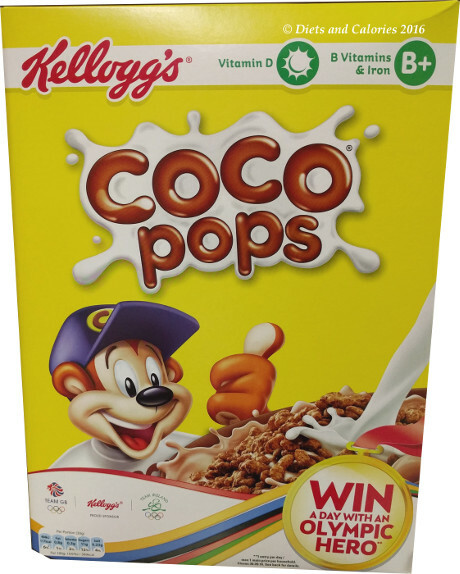 They’re made with 37% mixed cereals comprising rice, whole oats and whole wheat. 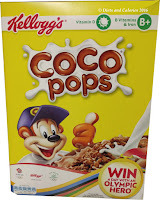 Other ingredients include dried apple pieces, fruit juice concentrate and yogurt powder. The sweetness is provided by the fruit juice concentrate and dried apple pieces, but mainly comes from the added sugar, glucose syrup and oligofrustose syrup. The latter provides extra fibre. Unwrapping it reveals a pale golden bar which looks a bit like Rice Krispies stuck together. There’s a thin squiggle of white yogurt drizzled along the top. Picking it up, it’s as light as a feather and quite sticky. Taking a quick sniff before tucking in, the Lemon Drizzle cereal bar smells uncannily like a lemon meringue pie. Yum. I only planned to eat half the bar, but it was so delicious I couldn’t help finishing it off in one go. The lemon flavour is sweet and tangy, almost refreshing. There are small pieces of dried apple, which don’t taste of apple but seem to have absorbed the lemon flavour. 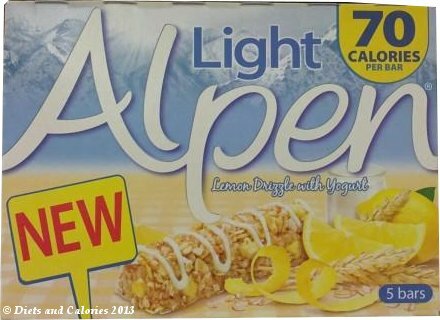 Overall, this a very tasty high fibre, lower calorie cereal bar and it’s great for anyone who’s trying to keep in shape. It is high in sugar but some of this is from the fruit pieces and juice and overall, each bar has only around 1 teaspoon of sugar. 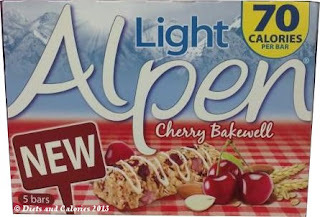 It’s also aptly named ‘Light’ as it’s light on calories AND in weight! Nutrition information per 19g Lemon Drizzle bar: 62 calories, 0.8g protein, 10.8g carbohydrates, 4.1g sugars, 0.8g fat, 0.3g saturates, 4.4g fibre, 0.02g salt. High in fibre. Suitable for vegetarians.